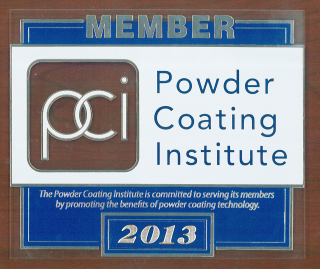 In 2010, the global demand for powder coatings amounts to approximately US$5.8 billion. 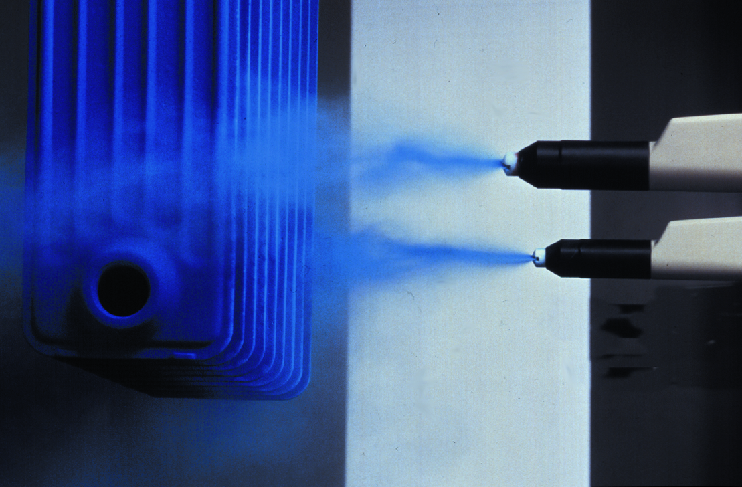 Driven by the development of new material, new formulations and advancement of equipment and application processes, the powder coating market presents a rapid annual growth of around 6% from 2012 to 2018. Currently, the industrial uses are the largest application market of powder coatings. Automotive industry experiences the most dynamic growth. Steady and strong growth is also expected by furniture and appliance markets. Furthermore, the application of powder coatings in IT & Telecommunication is also being widely explored. Properly pretreated and powder coated parts offer very good resistance to corrosion. Your parts can be tested according to ASTM B117 standards in our large Salt Fog Test Chamber. Knowing how many hours your parts can pass this extreme testing environment is a valuable tool in determining your finish warranties and maintaining good quality control of both pretreatment and the powder coating applied. Parts can be pulled from production runs and tested at intervals determined by you. Test results can then be emailed, faxed or mailed to you. Phosphate coatings are used to promote the bonding of powder coatings to a metallic substrate and impede the spread of any corrosion under the powder coating. These coatings can only be produced on properly cleaned surfaces. When the clean metal comes in contact with the slightly acidic phosphatizing solution, pickling occurs. This results in a reduction of the acid concentration where the liquid contacts the metal surface. 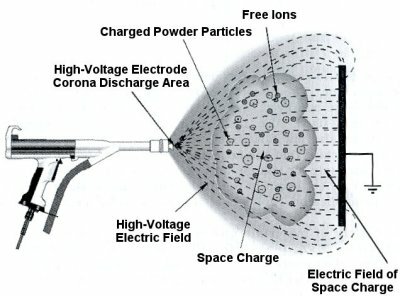 Iron is dissolved, hydrogen is evolved, and the phosphate coating is deposited. Our 3 stage pretreatment system is designed to clean both steel and aluminum surfaces. Stage 1 has the dual cleaner/phosphatizer heated to 140°F and sprayed at 15-25 psi. This stage removes soils and applies the phosphate coating. Stage 2 is a continuous overflowing, fresh water rinse and removes any excess cleaners. Stage 3 is a final seal rinse. Sealers are used to increase rust resistance without using environmentally harmful materials such as hexavalent chrome sealers.